The entire contacts you have created in windows live mail are stored in your address book, that can be directly exported with follows simple steps to individual business vCard format. 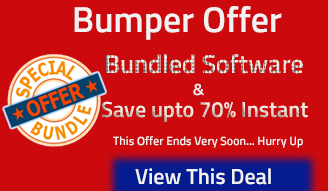 VCF format is universally supported by webmail providers and email program on windows. 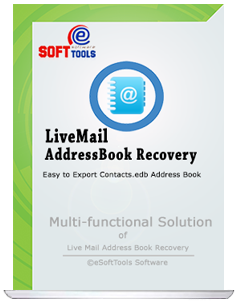 eSoftTools Windows live mail contacts to vCard Converter software helps you in recovery contacts from contacts.edb file and export windows live mail contacts to VCF format with maintains all internal contacts.edb file details. We deliver best and multiple features in single software that is really good in conversion and very easy to use, it delivers simple and risk-free conversion to users to export live mail contacts to vCard format. All users can read about all features and get know what special in this software and why this is different from other tools. This software is such a remarkable in its functionality to export live mail contacts to vCard format, you can use this tool with self-confidently and got best result in conversion with complete data of contacts.edb file. 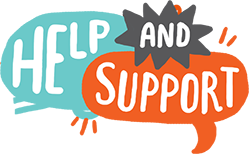 May there some few folders that you require exporting into vCard format, so this case you are able to select all those folders one by one that need to export into vCard format deprived of losing data. It saves your precious time by convert only needed folders. Not a big issue if you don’t know the location of contacts.edb file because the tool delivers best feature by which it by default select the right location of contacts.edb file and convert their data into vCard format without creating problem. 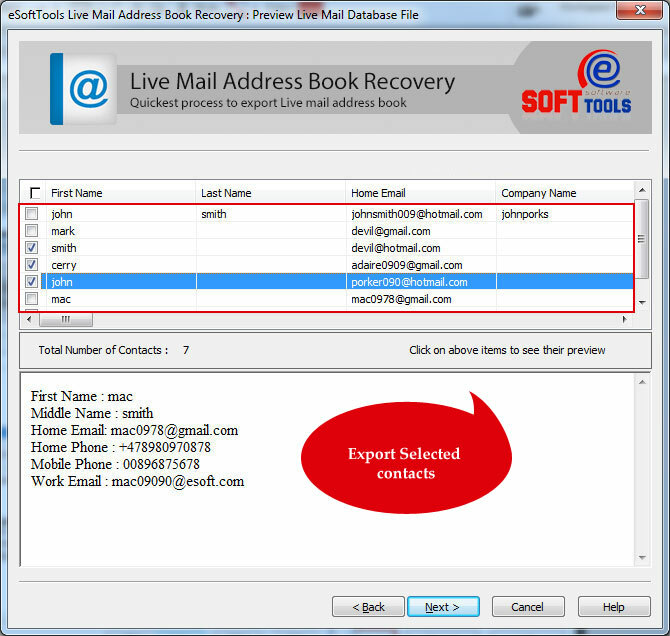 These windows live mail contacts to vCard Converter software enables users to create single vCard (VCF) file for multiple folders of windows live mail contacts.edb file so by this way you can save all data at same place that will easy to manage. 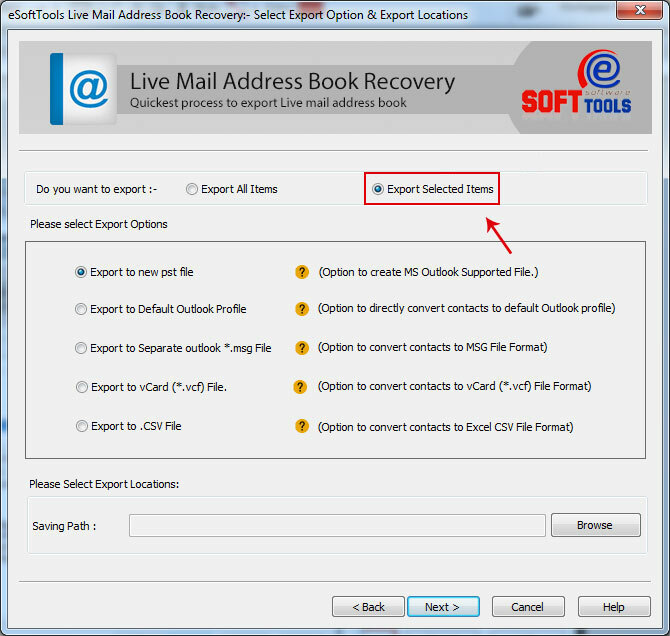 Apart of saving vCard format, the windows live mail export contacts vCard Software gives some different formats as like- PST, MSG, HTML, CSV and existing outlook profile to export windows live contacts.edb file data. 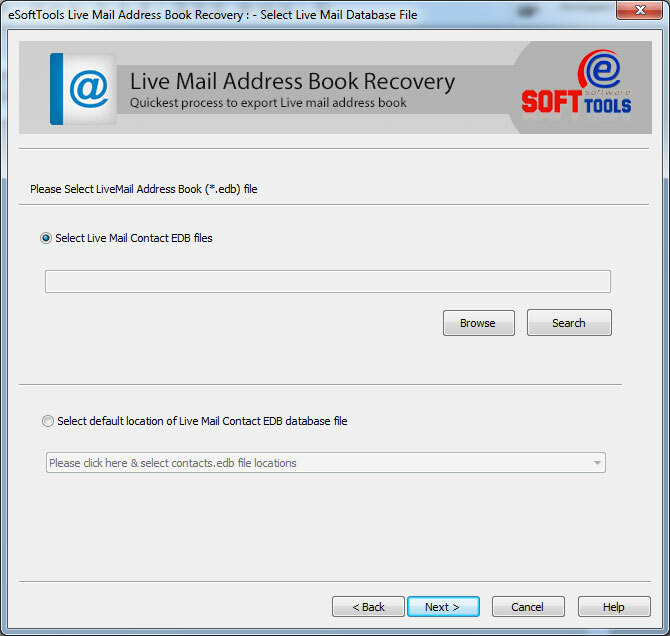 Don’t worry about the conversion items of windows live contacts because only to contented you the software generate and displays the preview of live mail contacts.edb file in preview panel of the software where you can see and read all data. I require creating single VCF file of multiple folders of contacts.edb file is it possible with this tool? Yes, this is possible the software gives the best opportunity to create single VCF file for every folder of contacts.edb file. I am confused where the location of my contacts.edb file but require converting its data into vCard format? Don’t worry? The software will automatically detect contacts.edb file location to export data you just need to select the auto detects option of the software. Can I export individual items of windows live contacts into vCard? Will software provide the live preview of my conversion items from windows live contacts file? Can I export only selected items from contacts.edb file to vCard format? 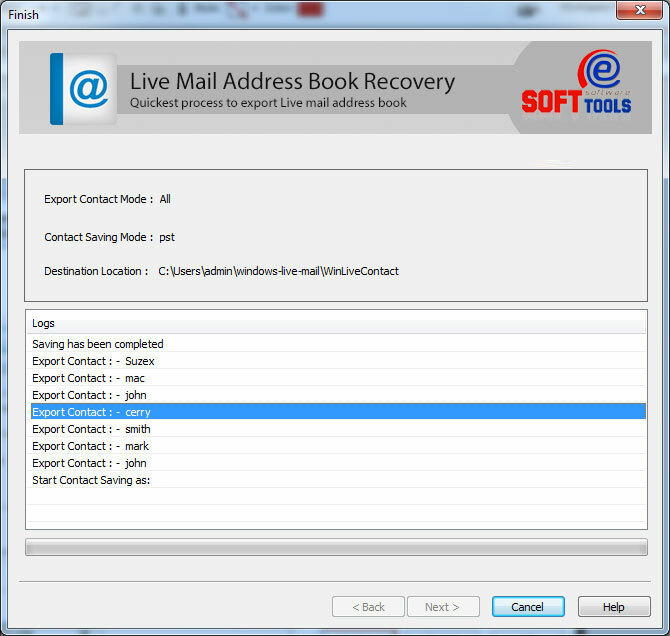 Yes, the software gives the facility to select the items of windows live contacts.edb file to export into vCard.